Kim Kardashian: Bringing Guests To Her Wedding Using Frequent Flyer Miles? 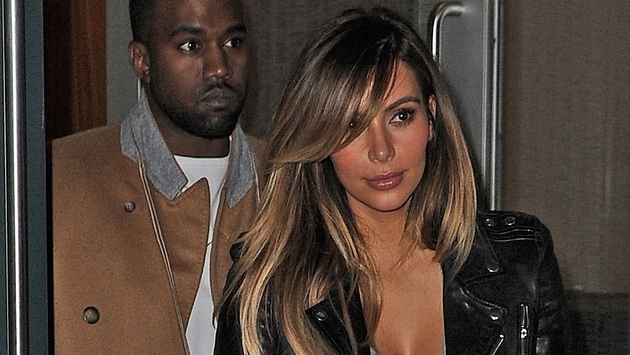 Apparently, Kim Kardashian is trying to save a penny wherever she can! Even though she's expected to earn $21 on her wedding to Kanye West, Kim will reportedly be bringing her entourage to their wedding using her frequent flyer miles. Kim allegedly made travel arrangements for her entourage and while they're happy to be traveling to Europe, they were shocked to learn she wasn't even paying for it, Radar Online reports. “Kim is so cheap that she is using her frequent flyer miles to fly her entourage to and from the wedding,” a source told Radar. Kim's entourage — her stylists, hair and makeup artists, etc. — are hurt by the "Keeping Up With the Kardashians" star's decision to treat them like second-class citizens and some don't even want to attend the May 24 wedding. “All they’re getting is a coach flight that Kim is getting for free with her miles and a cheap hotel. Kim’s not giving anything to these people who feel like they’ve done so much for her,” the source said. And even though the 33-year-old is footing the bill for their flights, her "generosity" stops there. “Kim’s not helping with transportation to or from the airport or anything,” the source added. What do you think? Do you think it's in poor taste for Kim to use frequent flyer miles on her guests?